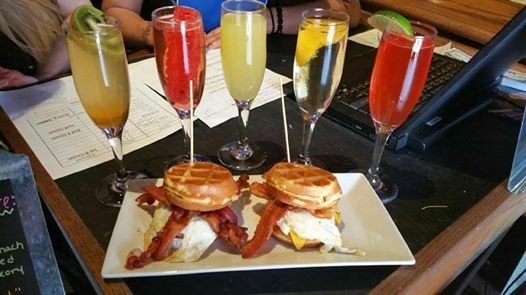 Brunch in Charlotte just got better! Peculiar Rabbit and Jackalope Jacks invites you in for brunch! With bottomless mimosas, chicken and waffles, and our famous Peculiar Biscuit, there’s really nowhere else to be. We also offer a regular menu featuring great BRUNCH CLASSICS and original items to get you through those Saturday and Sunday mornings. Come early and stay late, bring your friends, bring one two three or many and more. That wasn’t enough to convince you?! Coming late spring, you can enjoy brunch from our beautiful rooftop with a one of a kind view of the Charlotte Skyline!